‘Twas The Night Before Hanukkah is the best of this year’s annual crop of holiday records. The record, which was released by the Idelsohn Society for Musical Preservation, is subtitled The Musical Battle Between Christmas and the Festival of Lights. The catch is that this record is anything but a musical battle. Rather, this record does exactly what music is said to do. It’s a unifier. It joins two distinctly different cultures through the medium of music. On a side note, The Idelsohn Society for those who perhaps may not know was named for its namesake, musicologist Abraham Zevi Idelsohn. Audiences can learn more about him and the Idelsohn Society’s website, http://idelsohnsociety.com/about-us/. ‘Twas The Night Before Hanukkah is just the latest in a series of releases from the Idelsohn Society For Musical Preservation. The compilation features thirty four tracks from across both the Jewish and Christian faiths. Those songs celebrate, as the subtitle notes, both Christmas and the just ended annual celebration of Hanukkah. What makes this double disc compilation even more interesting is that both the songs of the Jewish and Christian faiths are sung by both those in the Jewish community and those with Jewish roots. Among some of the more notable of those artists are the likes of: Mel Torme, Benny Goodman, Lou Reed, The Ramones, Bob Dylan, and Herb Alpert just to name some. Adding even more interest to this already worthwhile listen, the music presented by the variety of artists makes the record even more multi-cultural. Some songs are standards, while others are more original, crossing the cultural borders of the music industry. All thirty-four tracks in this compilation present enjoyment thanks to their cultural variety. One of the most enjoyable and interesting of the songs in this compilation comes not from the Christmas side, but from the Hanukkah side. Gladys Gertwiz’s presentation of ‘A Chanukah Quiz’ is a wonderful starting point for young members of the Jewish community. Gerwitz sings to her audiences of a “Hanukkah riddle” of sorts. In reality, this song is a history lesson both of Hanukkah and of Jewish heritage. She tells parts of the history, and leaves parts blank for listeners to answer (in song form) back. It’s fun and creative. On a completely different tangent, ‘Twas The Night Before Hanukkah also offers a Latin style holiday song in the form of ‘El Die de la Navidad.’ It’s one more example of just how multicultural this record is. The upbeat sound alone makes this another enjoyable song. Add to the danceable sound the lyrical holiday celebration and listeners get another enjoyable addition to this release. It’s just one more of so many enjoyable songs included in a record that is simply put the best holiday record of the year. The album is available in stores and online now. It can be ordered online direct at the Idelsohn Society store at http://idelsohnsociety.com/store/albums/. Return to Forever has returned. And it has returned in a huge way. The band released its brand new live set, “The Mothership Returns” this past Tuesday, June 19th. Being that it’s been nearly forty years since the band released its last full-length studio album, this new live release is an excellent “return” for this jazz/fusion/rock band. It’s an equally impressive introduction to the legendary act for fans who might be new to RTF’s music. Jazz/fusion, jazz/rock, jazz. Call it what you will. 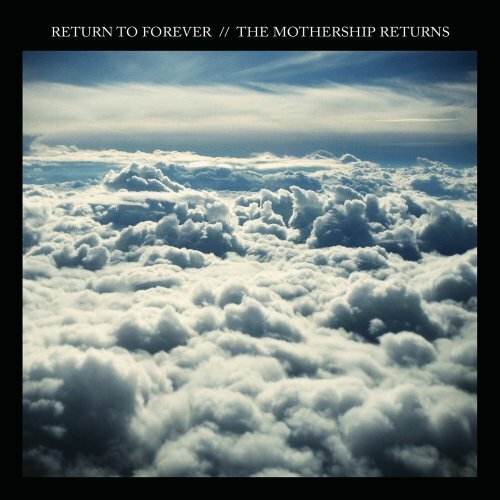 But one thing that can be said of Return to Forever on its new live release, “The Mothership Returns”, is that it shows that in the nearly four decades since the release of RTF’s last release, this band hasn’t lost even the slightest bit of steam. The double disc audio portion of the set covers some of the band’s biggest hits including: ‘School Days’, ‘Spain’, and Medieval Overture’ just to name a few. This incarnation of RTF isn’t the original lineup. But even with a new lineup, the band is still as strong as ever. Drummer Lenny White’s work behind the kit is incredible to say the least. He keeps perfect time all while crafting some of the most creative music of any drummer out there. And founder/keyboardist Chick Corea continues to prove why he is one of the top musicians in his category, too. Alongside Stanley Clarke (Bass), Jean-Luc Ponty (violin), and Frank Gamble (guitars), the quintet’s performance makes for a wonderful experience for any lover of jazz. The audio portion of “The Mothership Returns” is impressive in itself. 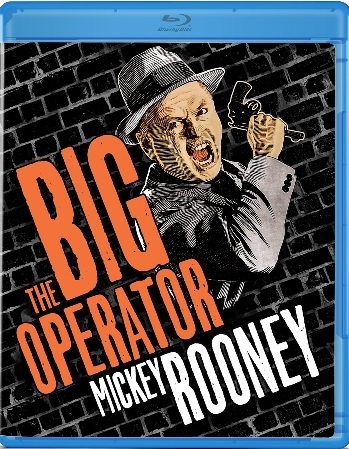 But it’s the addition of the bonus dvd that makes this release that much more enjoyable. The documentary, “Return to Forever: Inside The Music” is a bonus that makes the whole epxerience that much more enjoyable. The documentary offers insight into how the songs on the live show came to life. There’s even an extra discussion on the song, ‘Dayride.’ Bassist Stanley Clarke discusses how he came up with the song. He notes in the band interviews that it started coming to life when he was watching the Grammys one night. Mel Torme was awarding a Grammy to Chick Corea, and mispronounced Chick’s last name. Clarke laughs about how Torme had to be corrected about the pronunciation of Chick’s name. That’s just one of many more memorable anecdotes shared by the band throughout the interviews. The bonus documentary dvd included in “The Mothership Returns” is loaded with lots of memorable anecdotes that audiences will love to listen to again and again. They aren’t all that make the bonus documentary the great extra that it is. As the band talks about how the songs on this show came to life, each one shares with audiences what the other band memers bring to the table. Not one of the band members has anything bad to say about the other. Drummer Lenny White even jokes with bandmate Stanley Clarke about how Clarke had told him that he [Clarke] swore he would not be playing ‘School Days’ at fifty years old. that obviously didn’t work out too well for Clarke. That camaraderie shows through to the show, too. The chemistry between every one of the band members is evident in their playing during both the audio and video portions of the show. It’s part of what gives the show the energy that it has. The video portion of the set is another extra that makes the bonus dvd a welcome addition to “The Mothership Returns.” As the band discusses the songs featured on the audio portion of the set, audiences get to see performances of those songs from the Montreux Jazz Festival. One of the songs discussed that’s not included in the double disc audio portion of the set is ‘Dayride.’ As noted earlier, there is a discussion of this on the bonus dvd. Fans who pick up “The Mothership Returns” will get to not only hear the discussion on this one, but see it performed at length, too, thanks to that inclusion. The entire “Inside The Music” documentary clocks in at just over an hour. In that time, the documentary alone shines as the cornerstone of the bonus dvd. From the insight into the band’s music to the laugh filled anecdotes to the extra bonus content, the bonus dvd helps to bring the entire package completely together. Together with the double disc performance by this newest incarnation, RTF has proven that even after nearly forty years the band is still a leader not just in the world of jazz, but in music in general. To keep up with the latest entertainment reviews and news, go to http://www.facebook.com/PhilsPicks and “Like” it or its companion page, http://www.facebook.com/pages/Reel-Reviews/pages/381028148587141. Fans can also keep up with the latest entertainment reviews and latest at https://philspicks.wordpress.com.